With spring in full swing and summer quickly approaching, it's time to break out everything you need for those backyard barbecues, pool parties, and other outdoor gatherings. But what’s a good get-together with family and friends without great lighting to take the party from day into night? 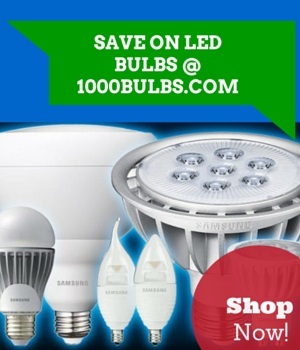 This Memorial Day weekend only, 1000Bulbs.com is offering 10% off all holiday and outdoor party lights! Shop everything from outdoor patio string lights and battery-powered LED candles to mini string lights and LED lanterns. Use the coupon code “PARTYLIGHTS” at checkout to get your 10% discount! This offer expires Monday, May 26, 2014. Click the image below to begin shopping!